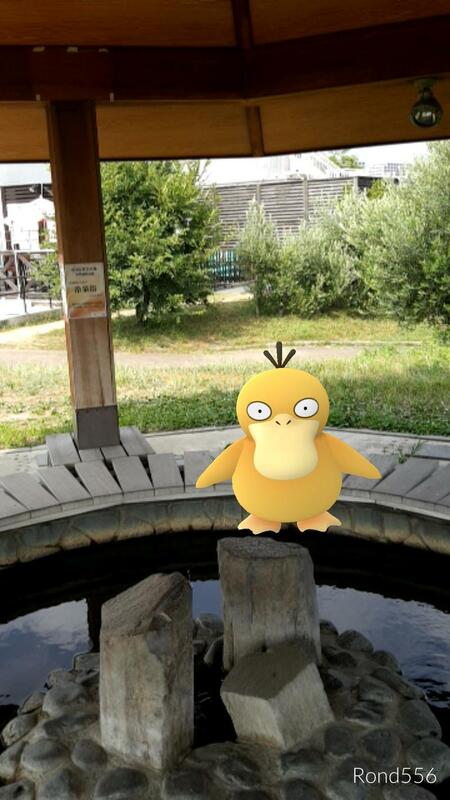 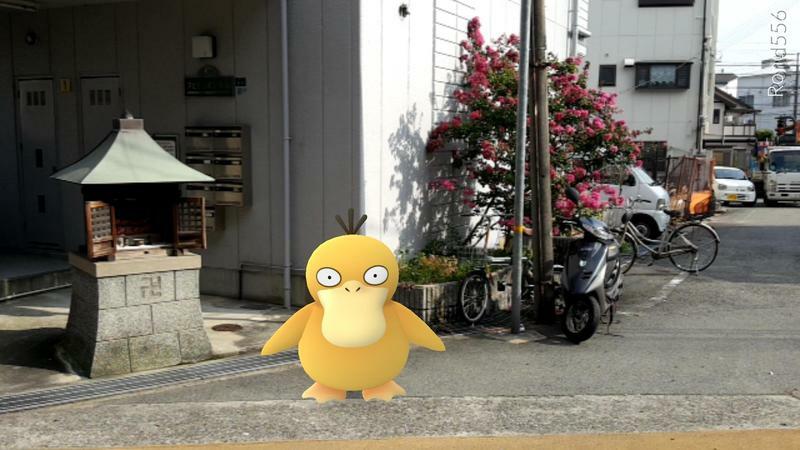 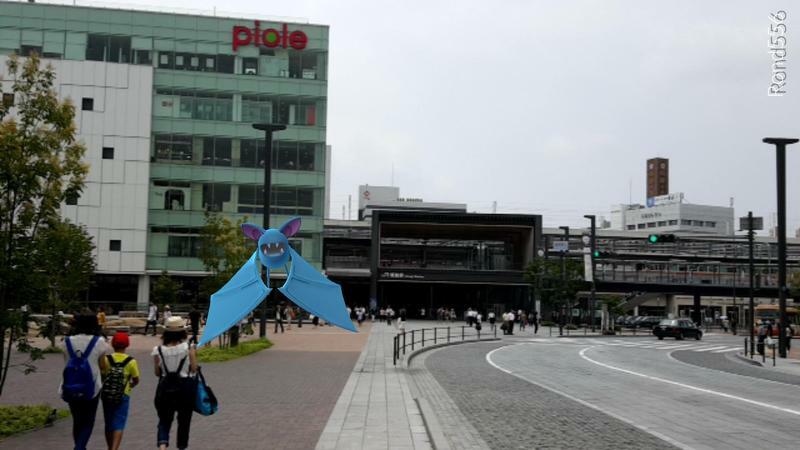 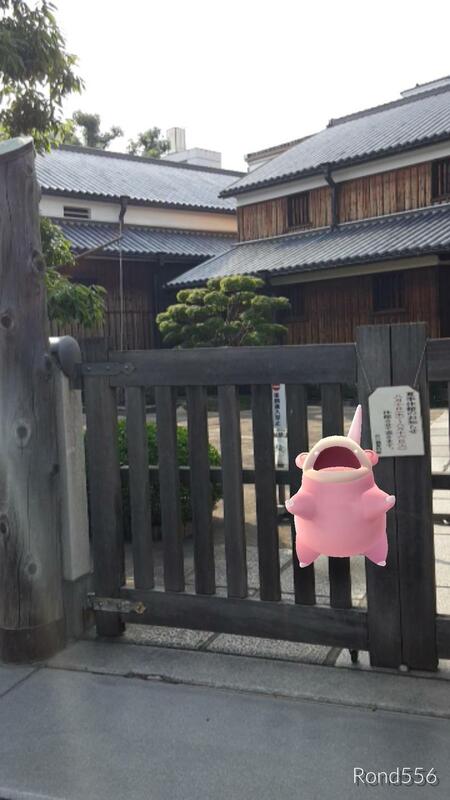 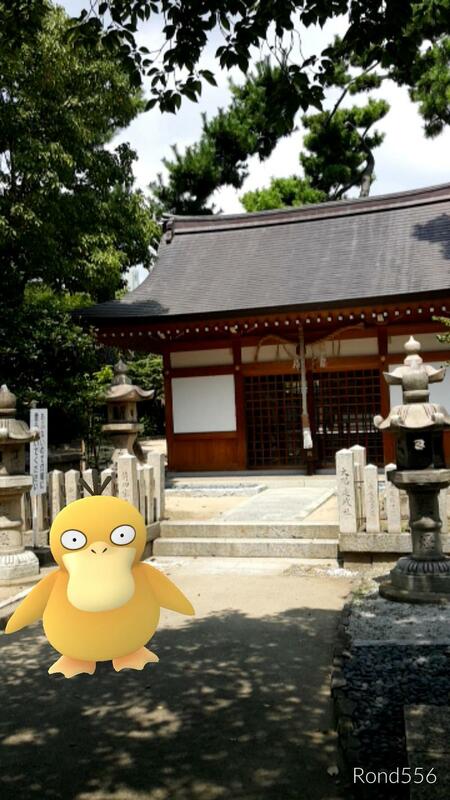 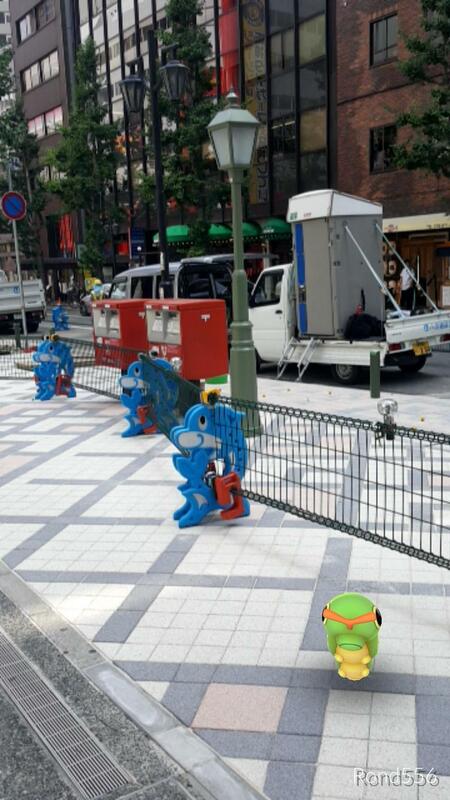 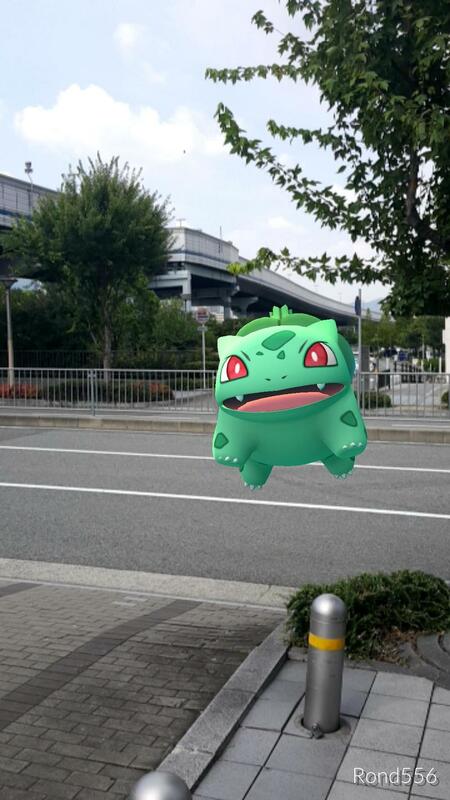 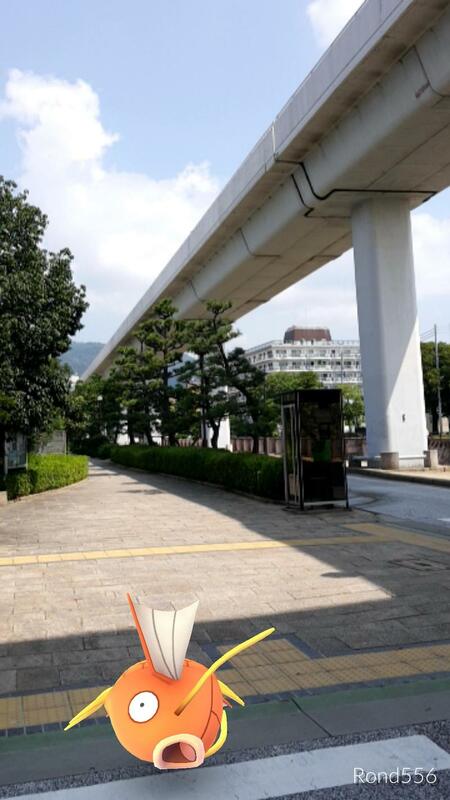 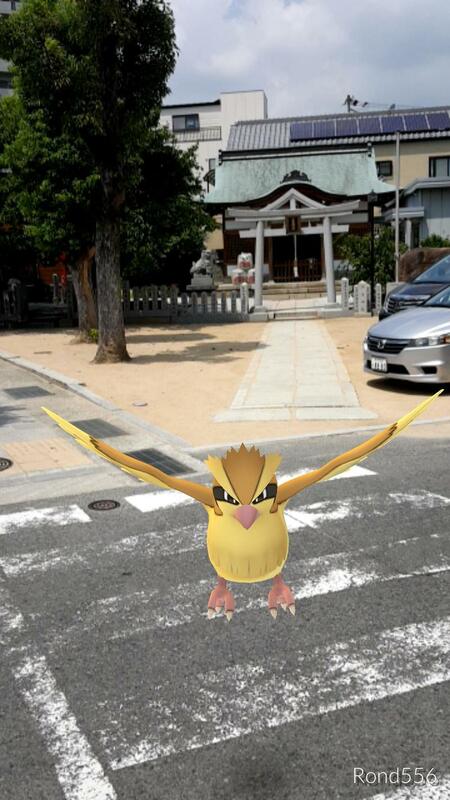 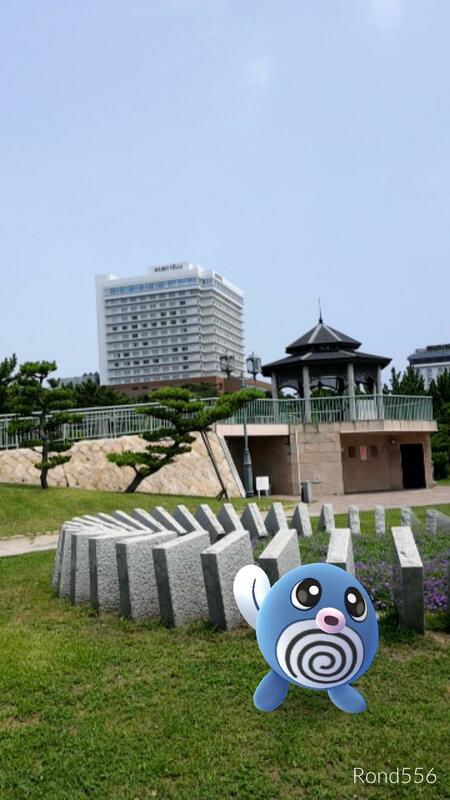 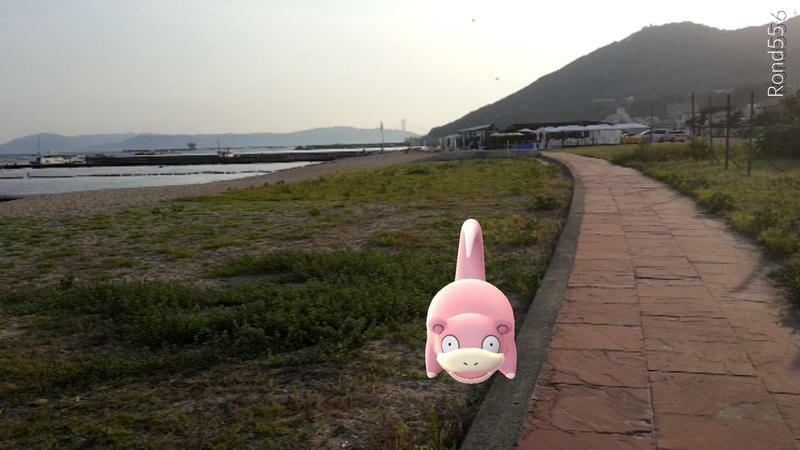 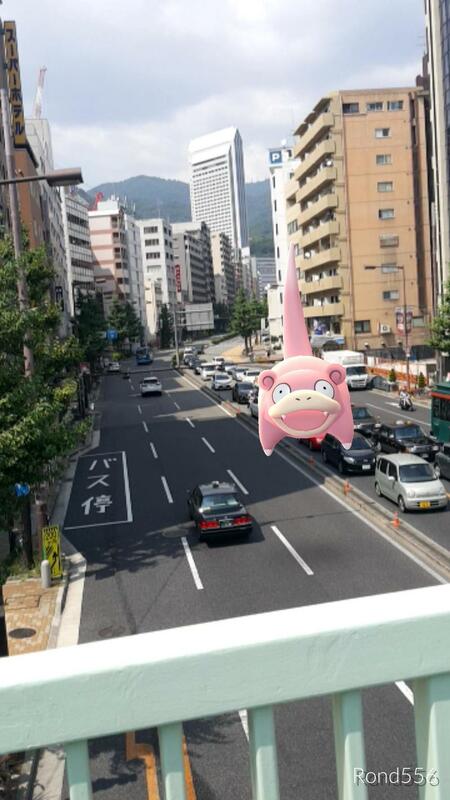 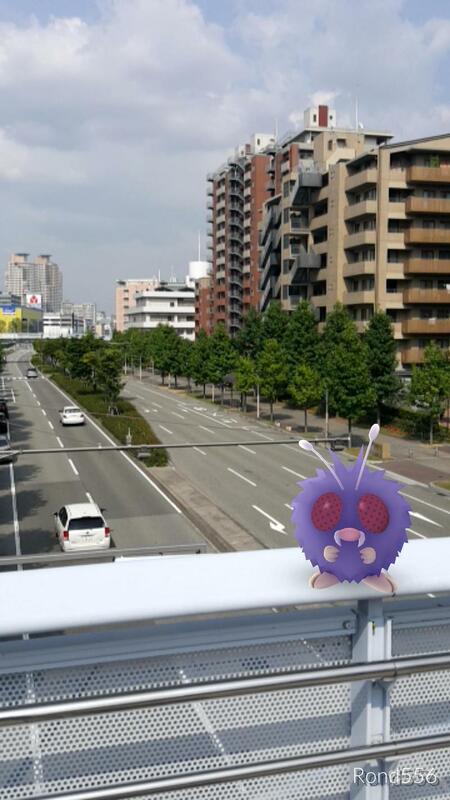 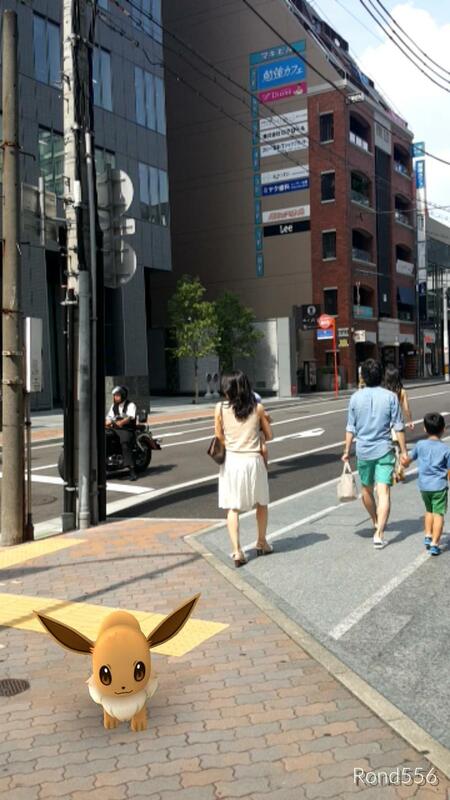 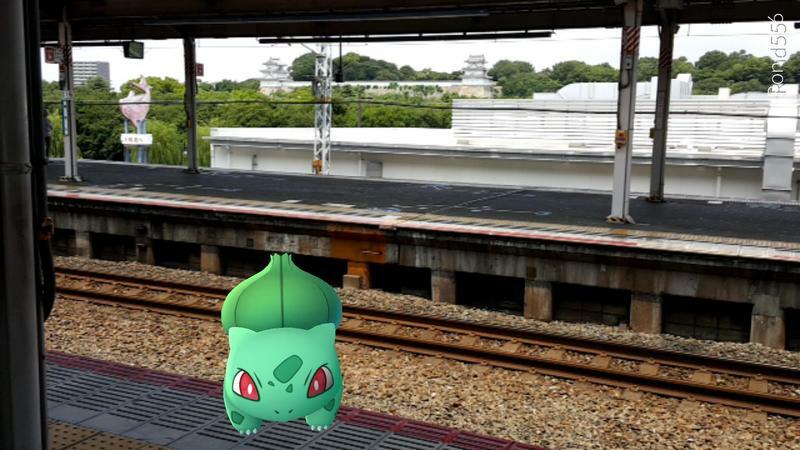 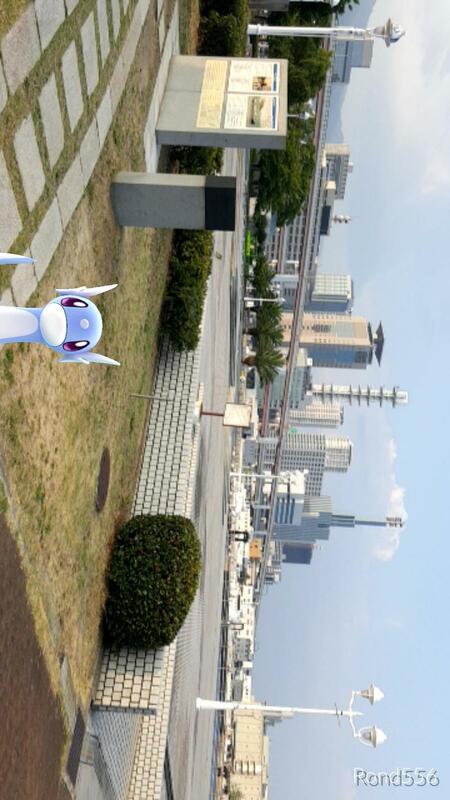 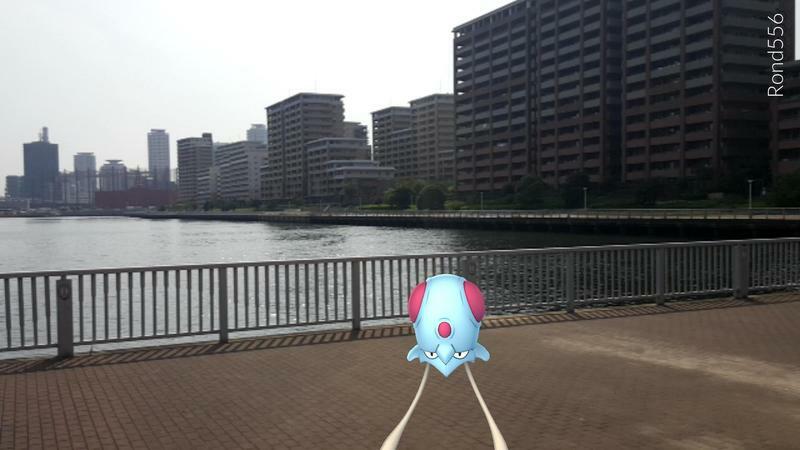 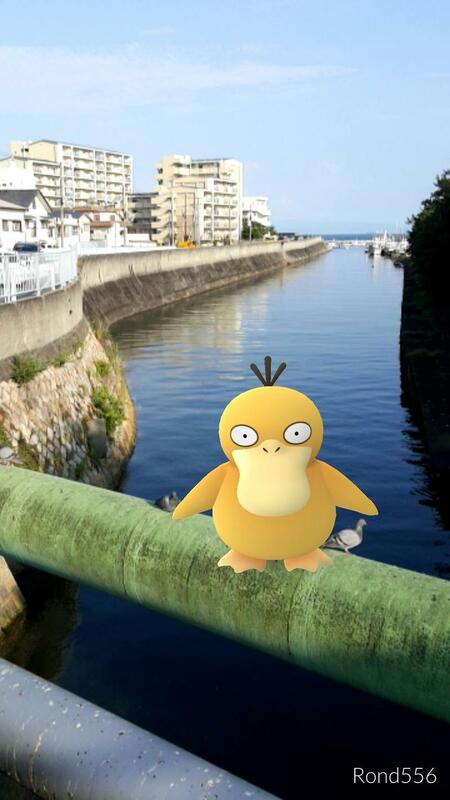 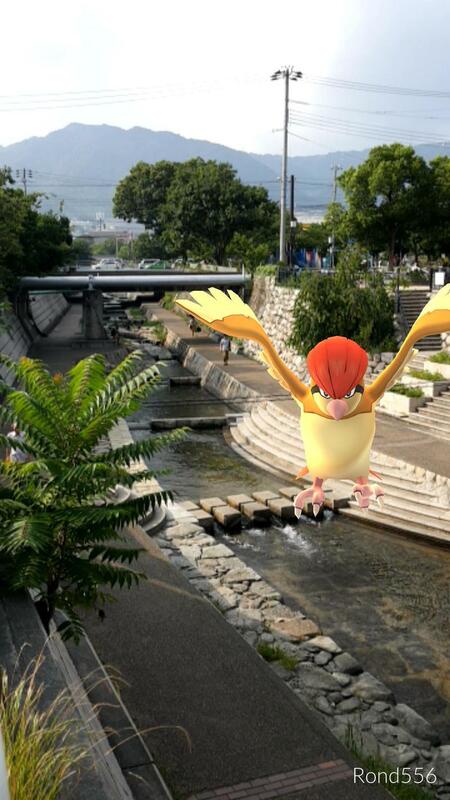 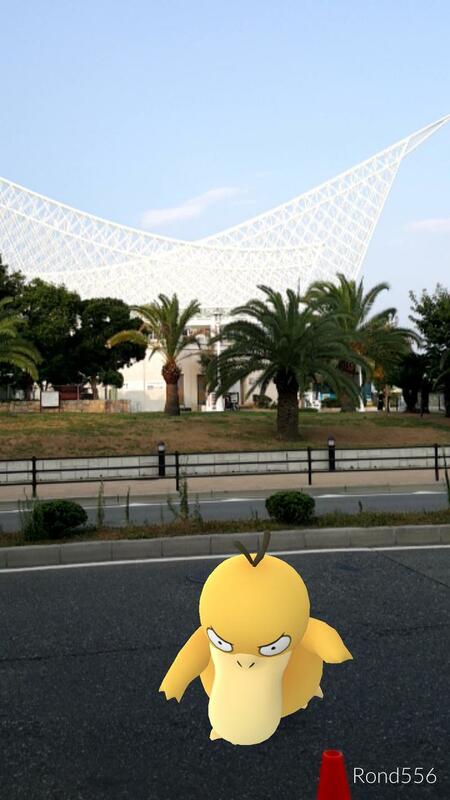 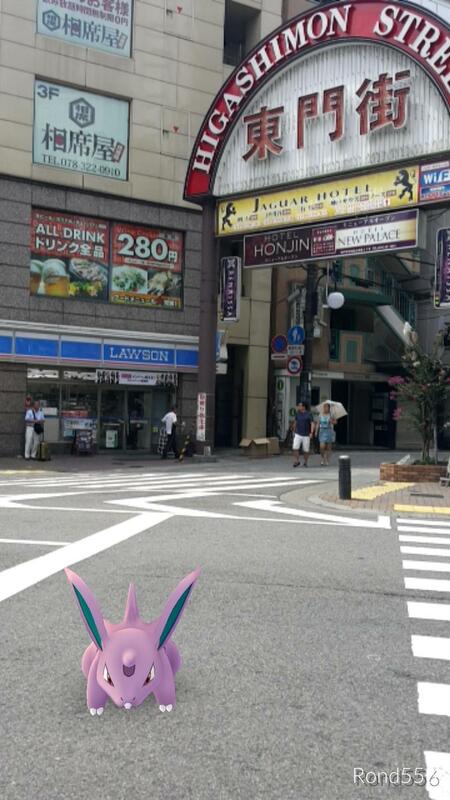 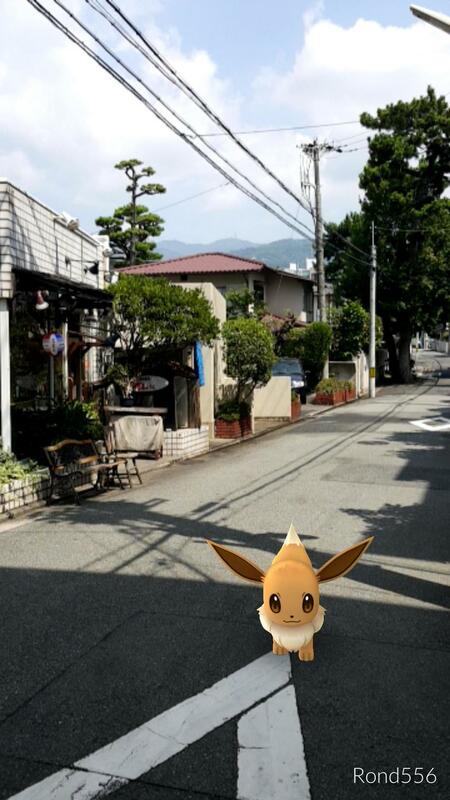 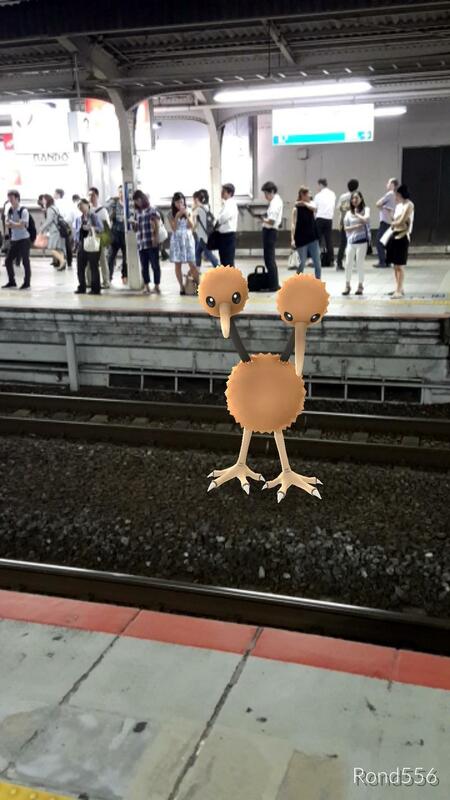 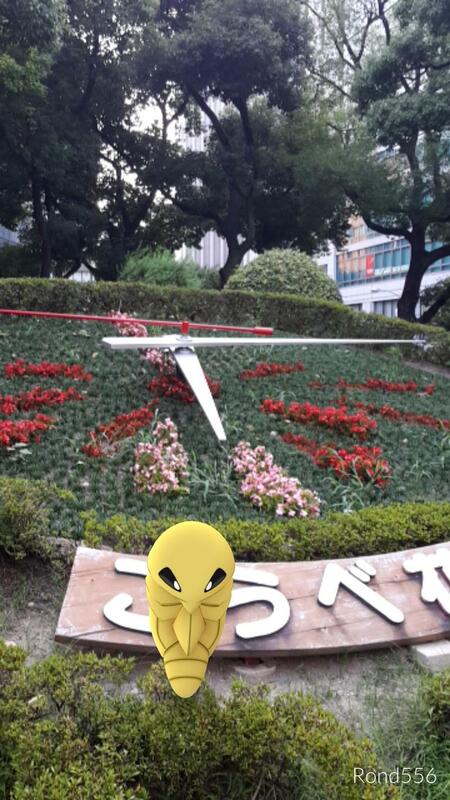 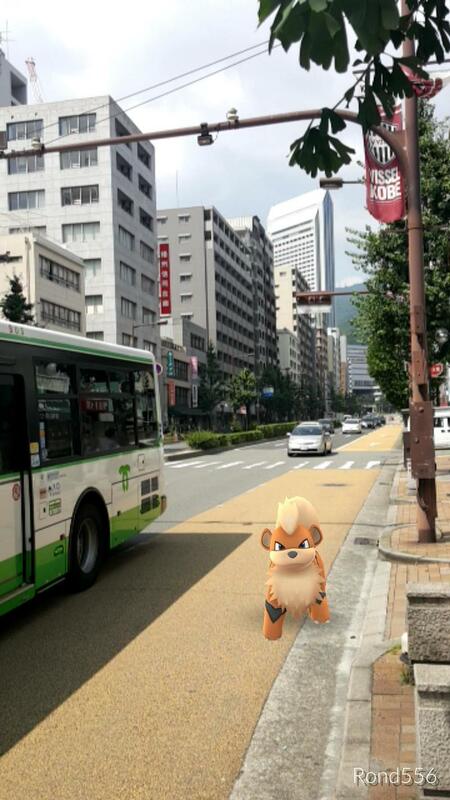 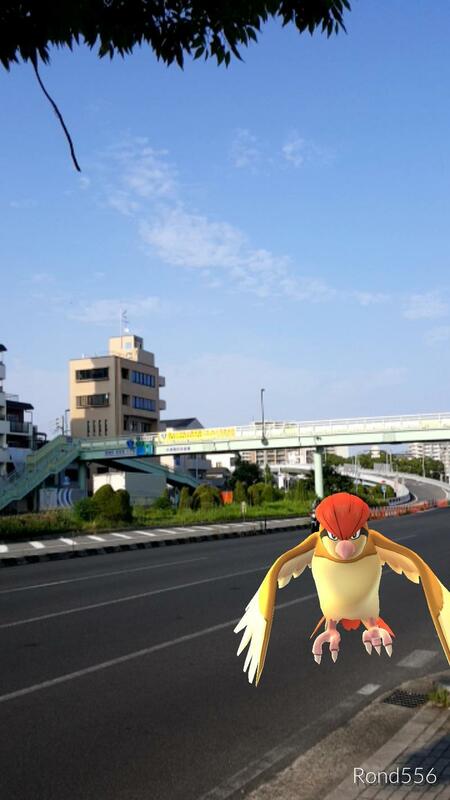 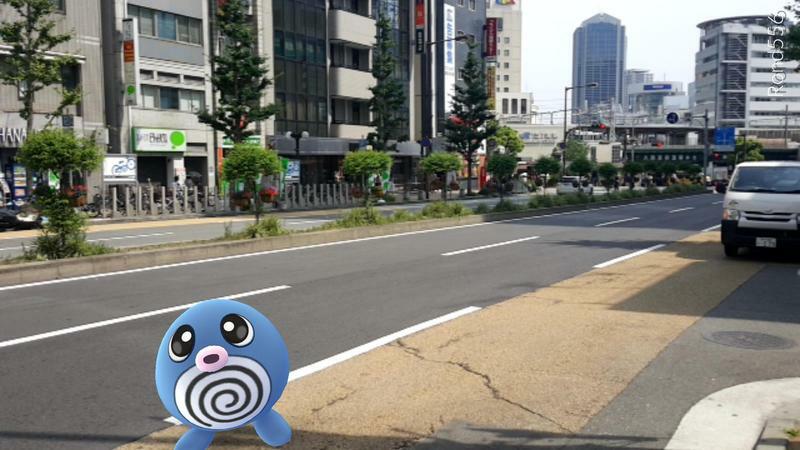 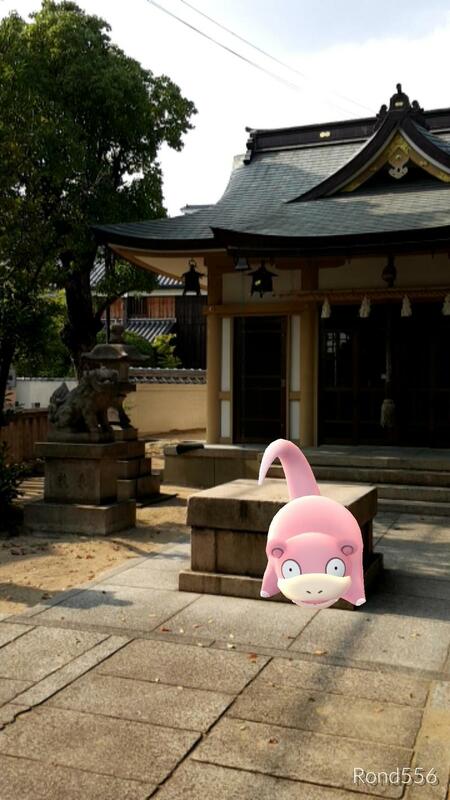 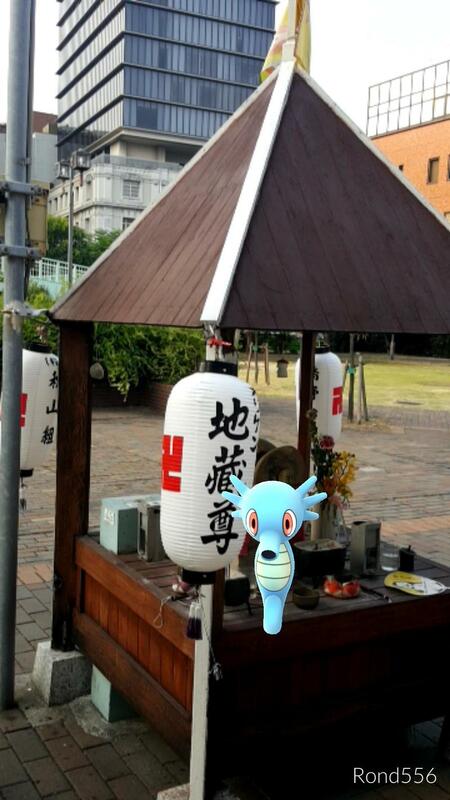 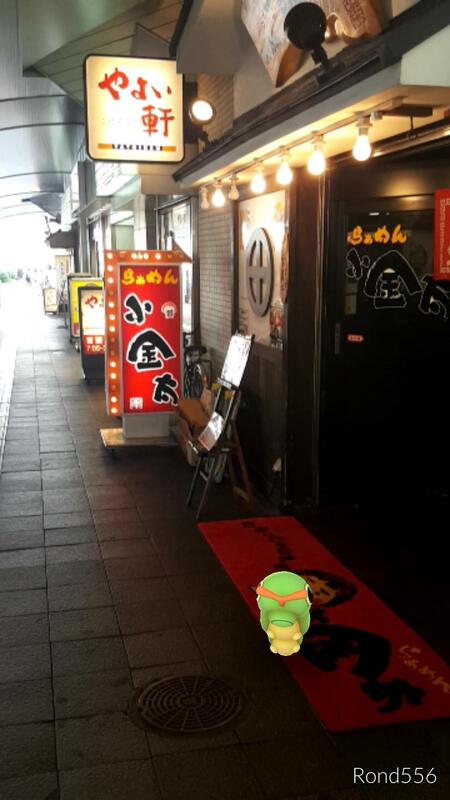 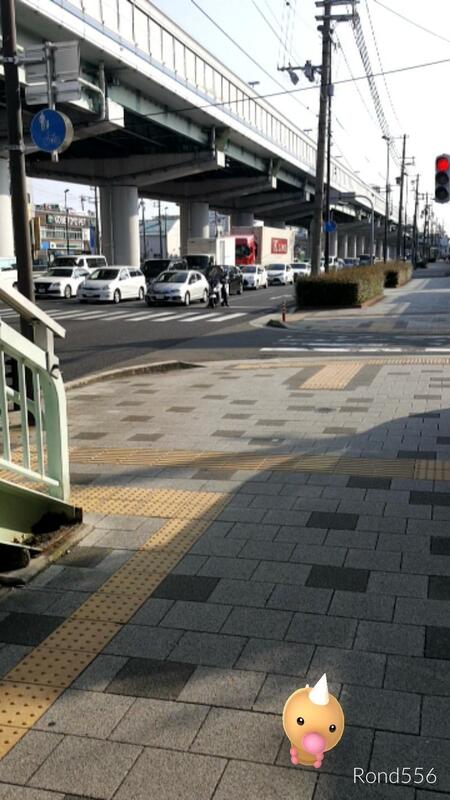 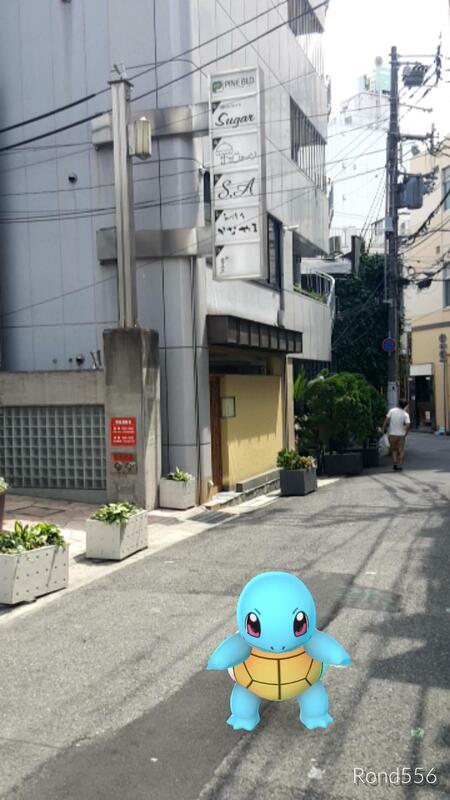 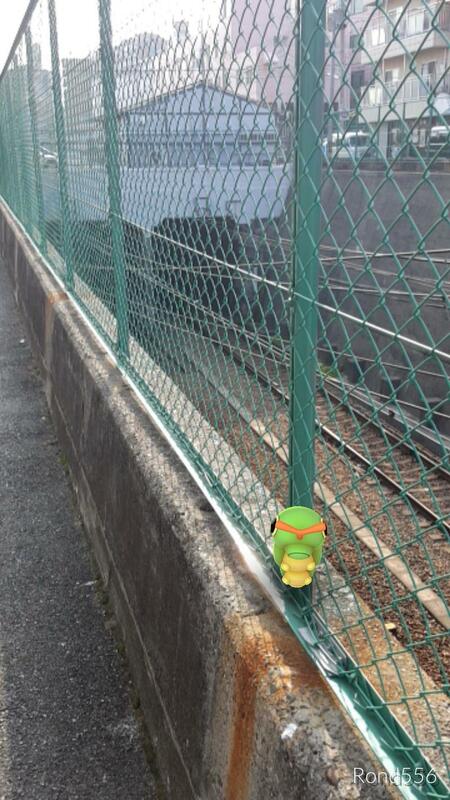 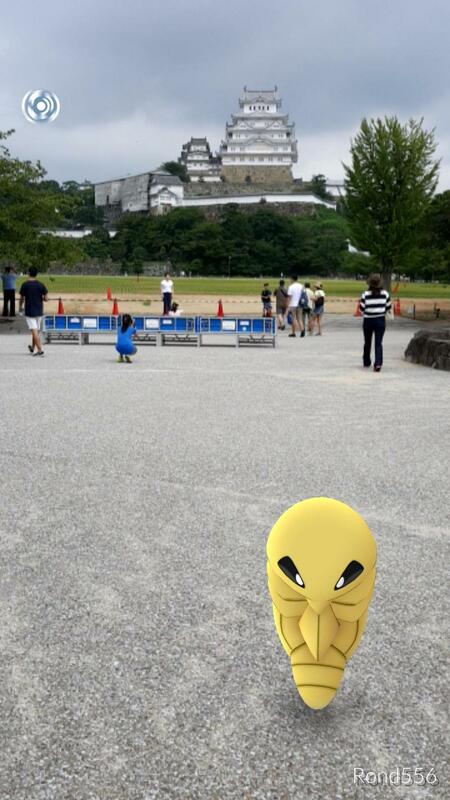 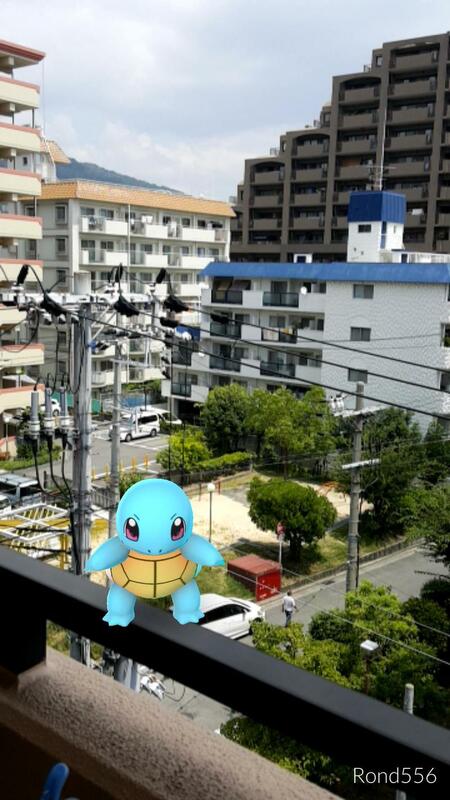 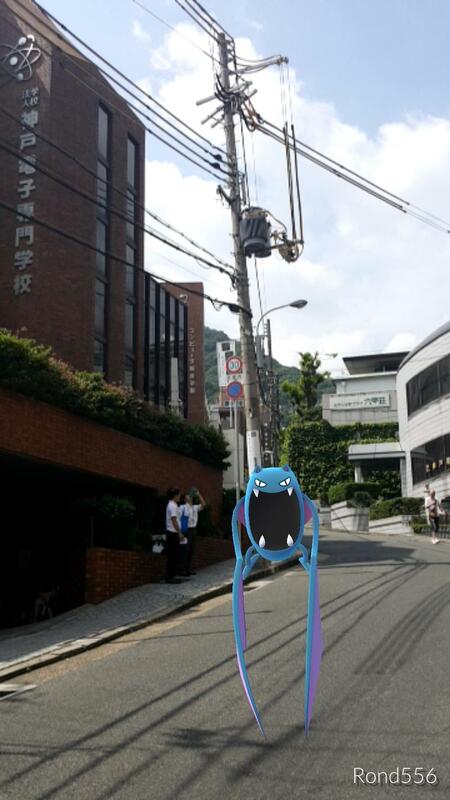 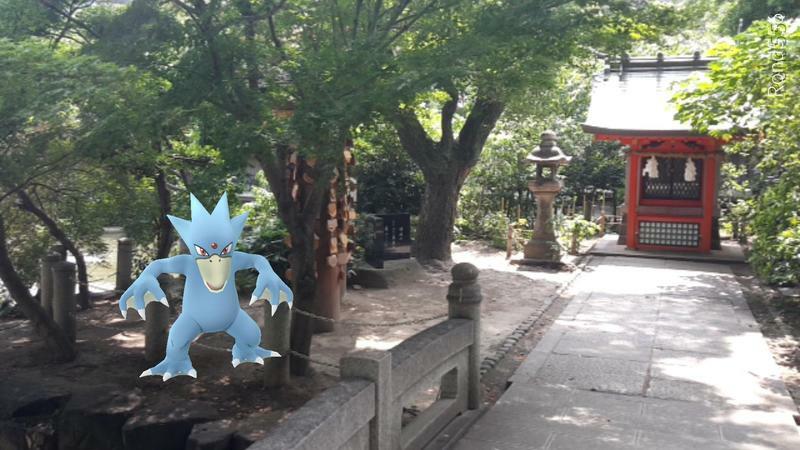 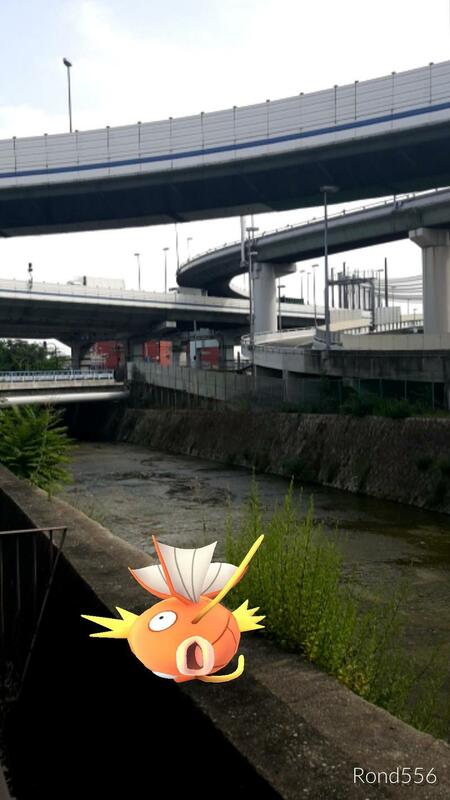 See Pokémon in their natural habitat... suburban Japan! 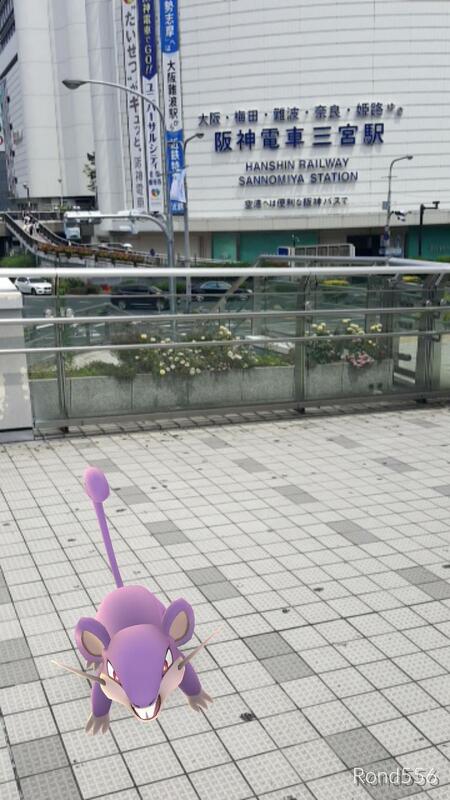 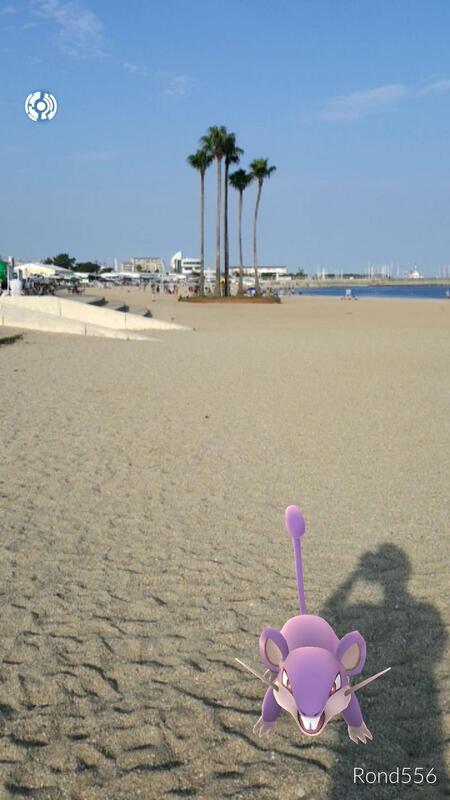 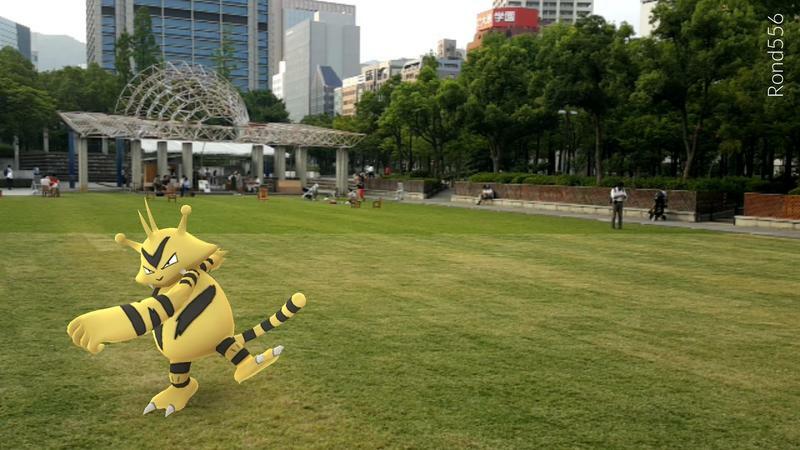 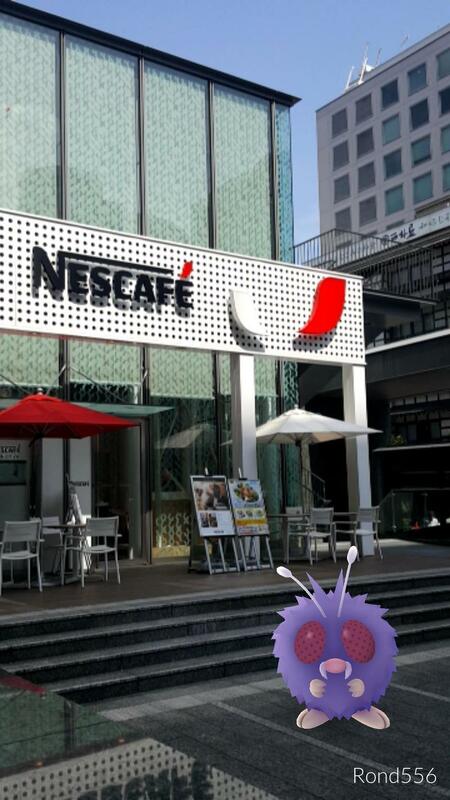 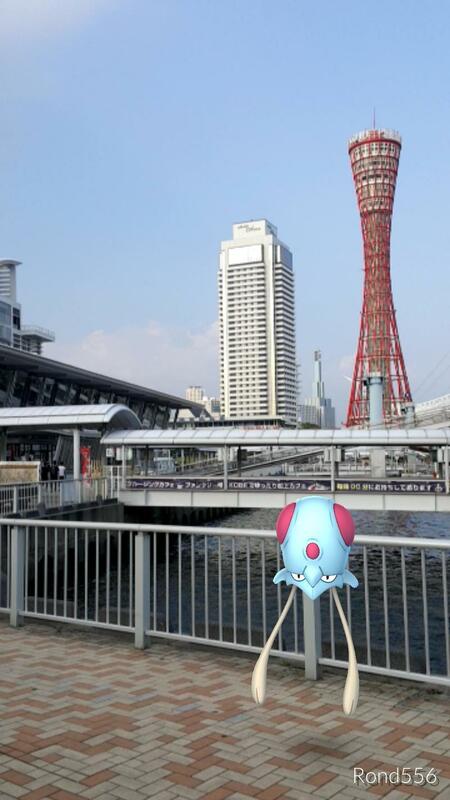 I realize I’m about a week behind everyone else when it comes to taking pictures of Pokémon in fun places, but give me a break. 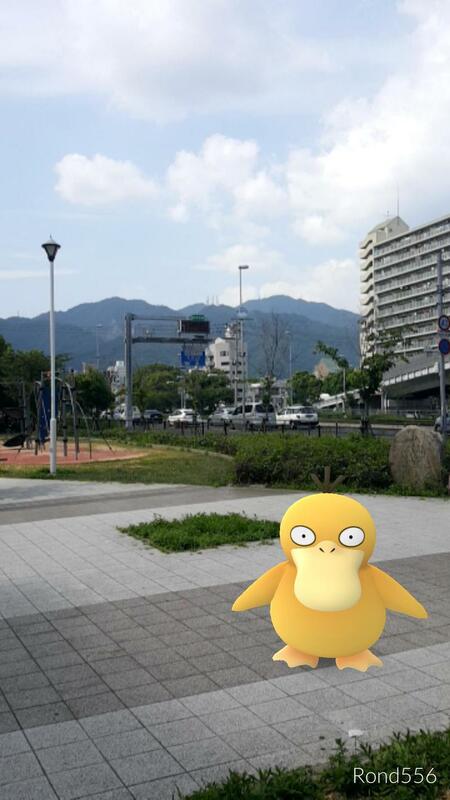 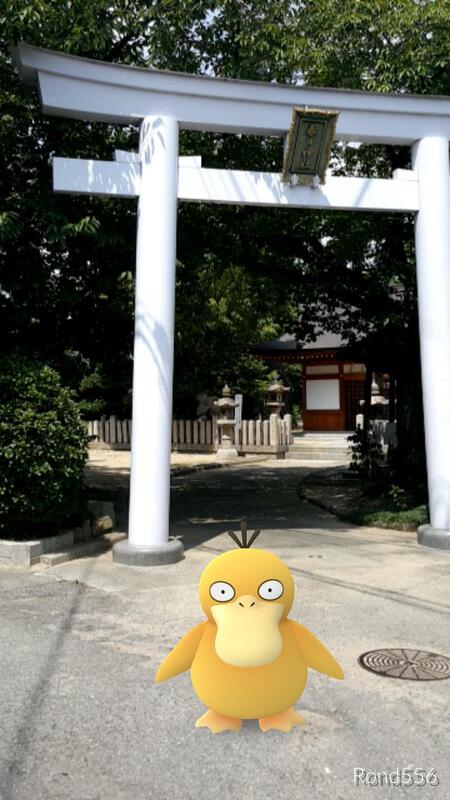 Japan, the place where Pokémon was born, infamously got the game much later than the rest of the world, and I’m just doing my best to catch up. 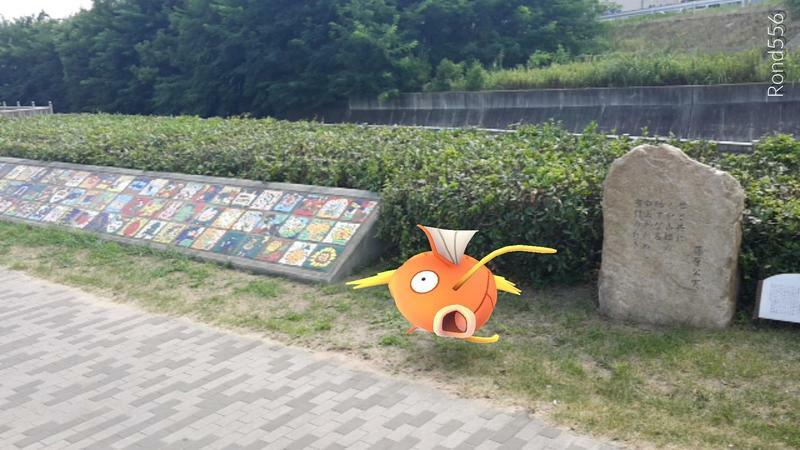 So, what did I do? 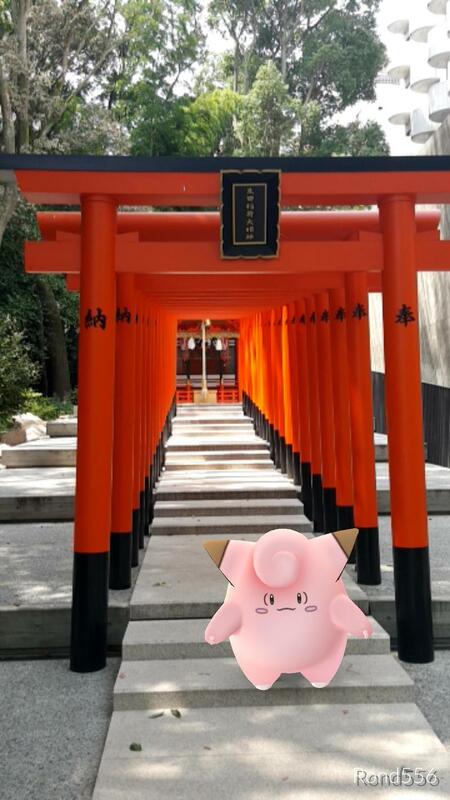 Well, I’m about to bring home the reality of Japan through the eyes of a Pokémon trainer. 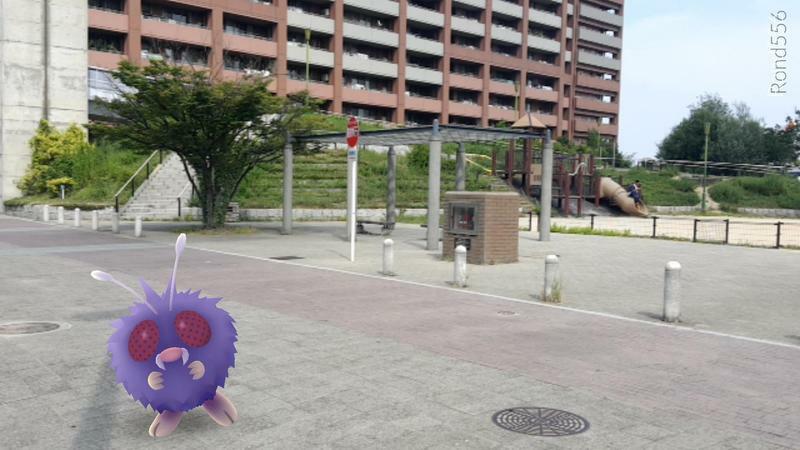 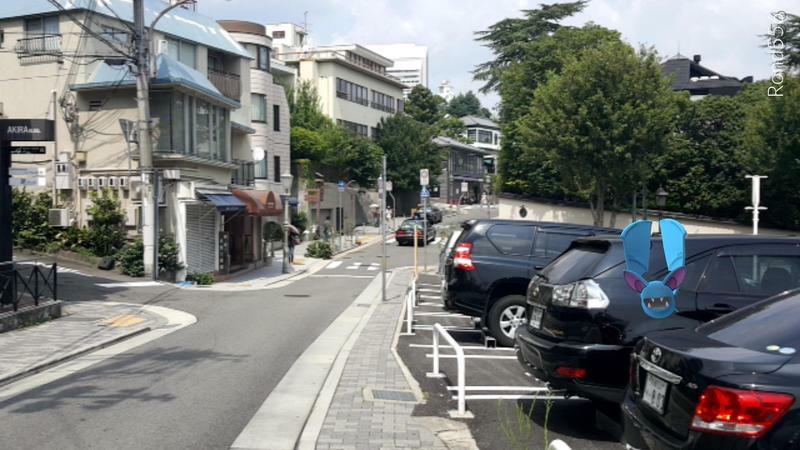 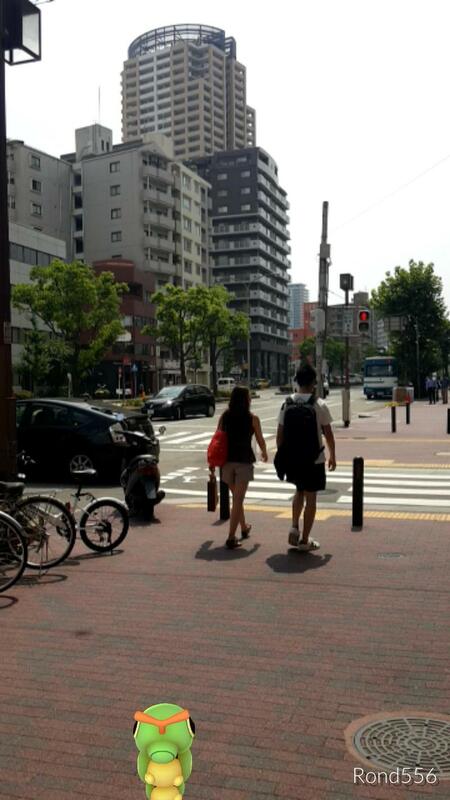 When coming up with the idea of Pokémon, its original creators saw a world much like the one I live in, a very normal Japanese residential area on the fringe between being urban and suburban. 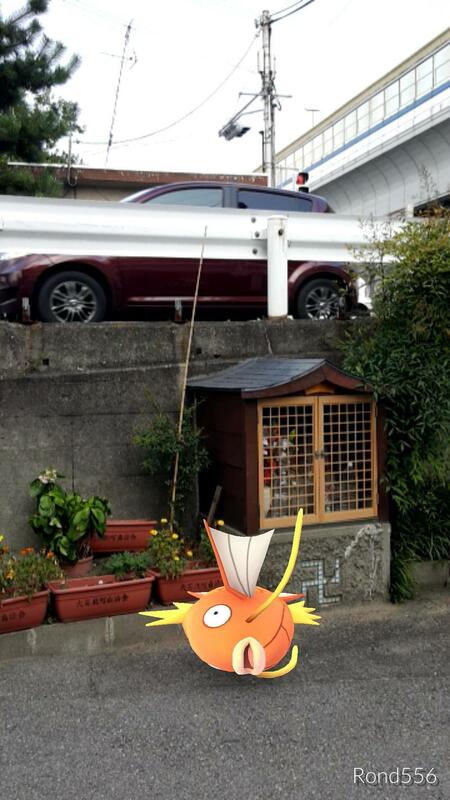 Normal neighborhoods. 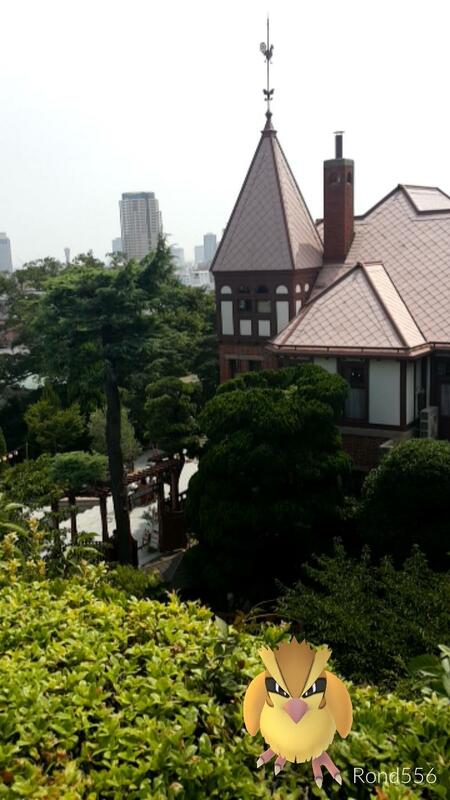 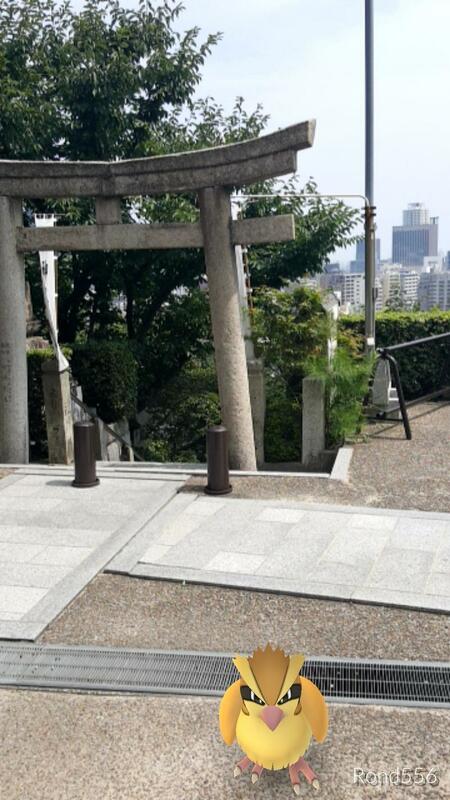 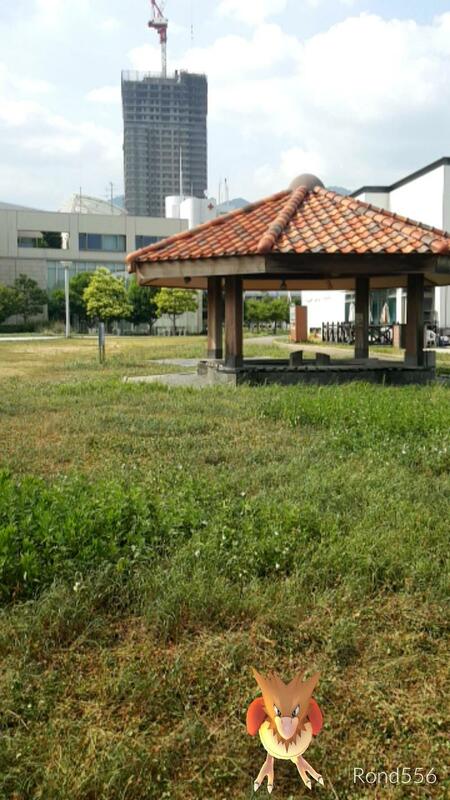 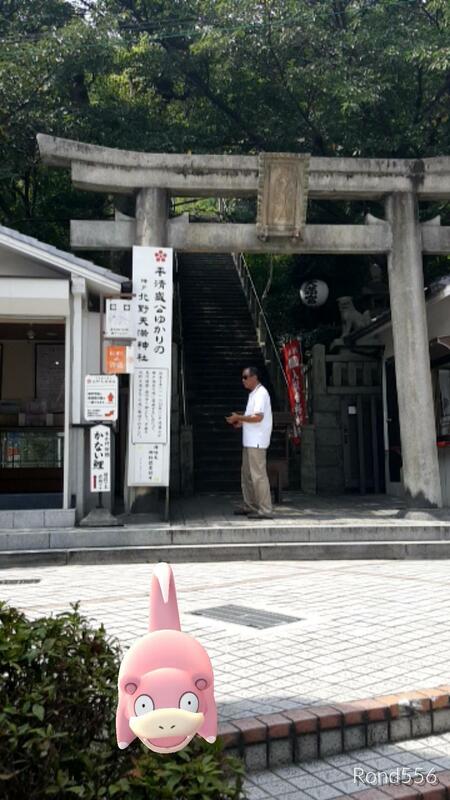 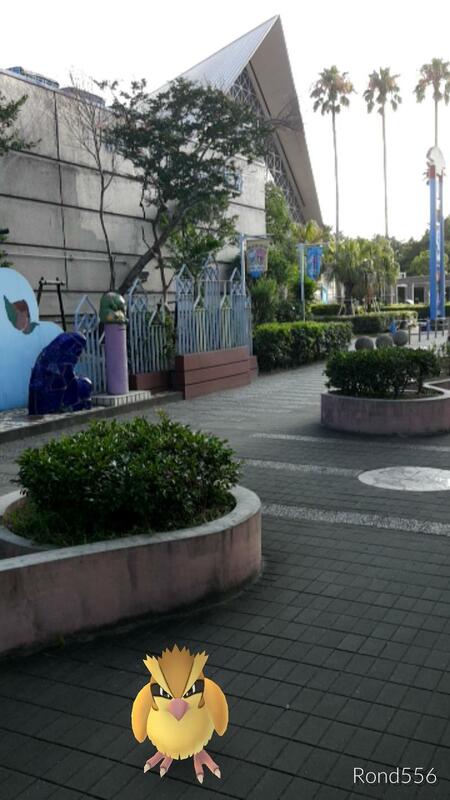 Parks, a local shrine, a convenience store, skyscrapers in the distance. 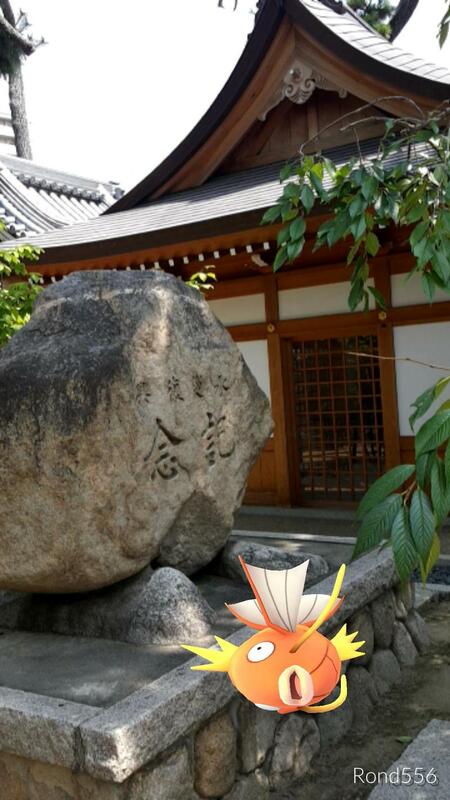 One of the most common images of this time of year in these settings led to the idea of Pokémon, and that is a Japanese childhood pastime of catching bugs in the wild and battling them. 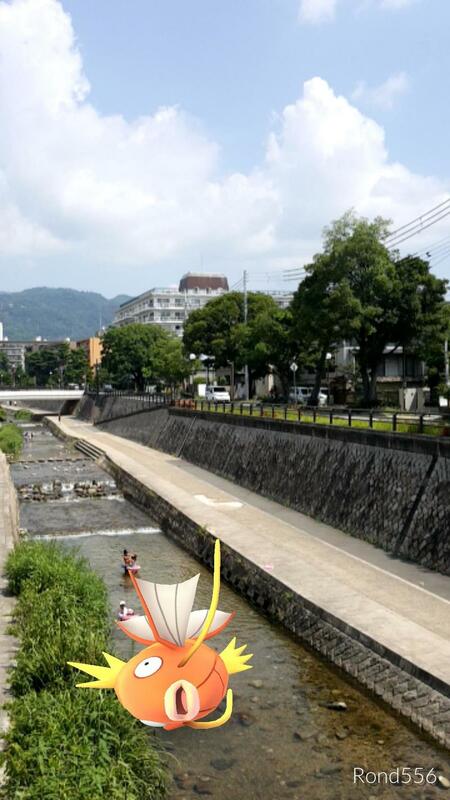 On a hot summer day, like the ones where I went out and took these pictures, you can still see children doing this same activity. 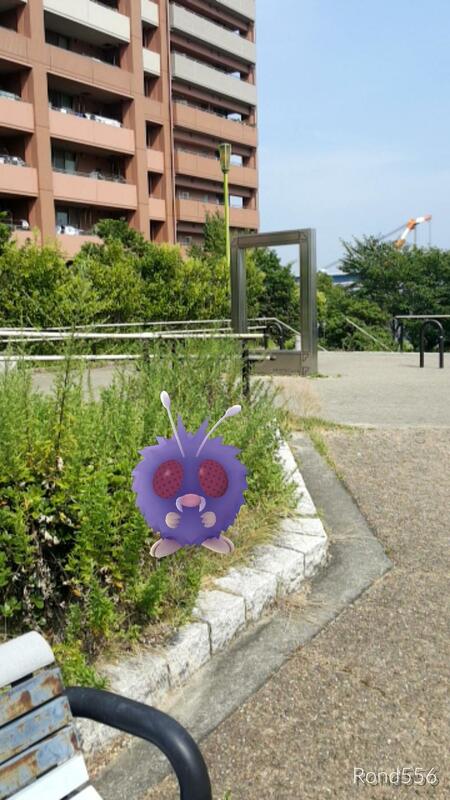 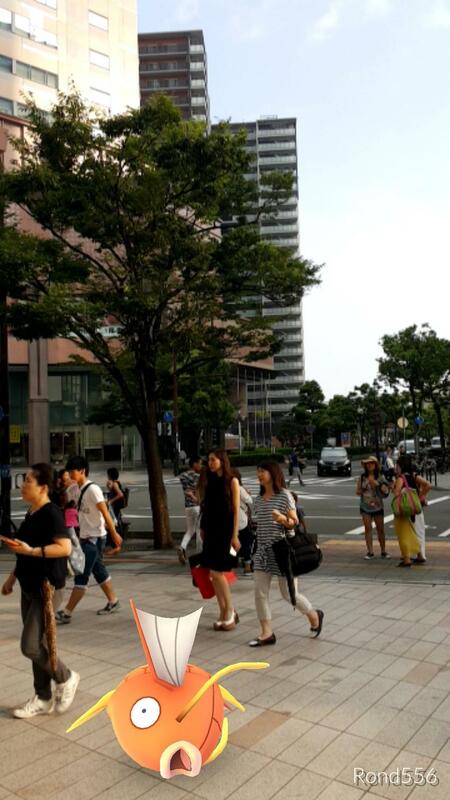 Catching cicadas in their nets throughout the parks in the Japanese concrete jungle. 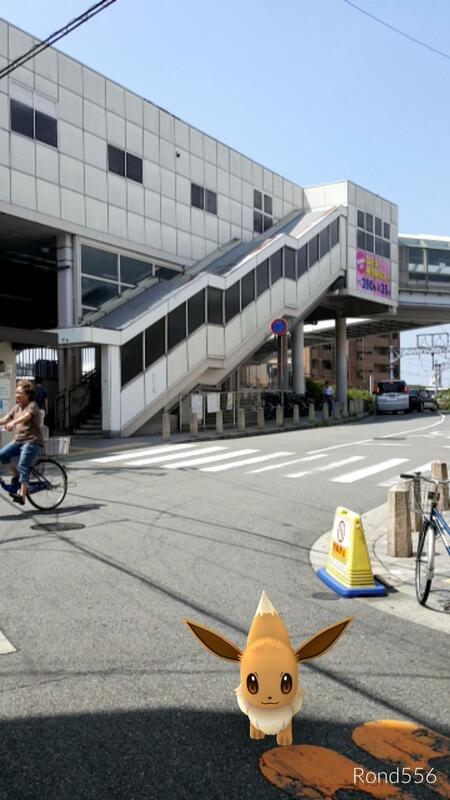 The inception of Pokémon. 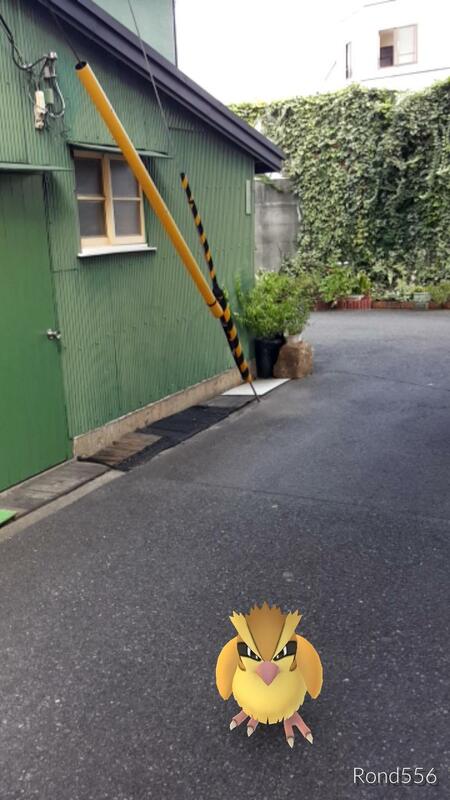 This is where it all comes from. 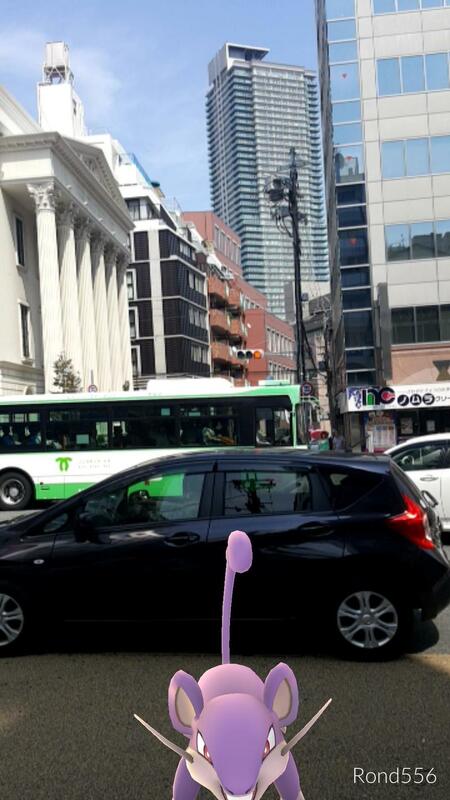 I guess I should apologize for the mundane selection of Pokémon. 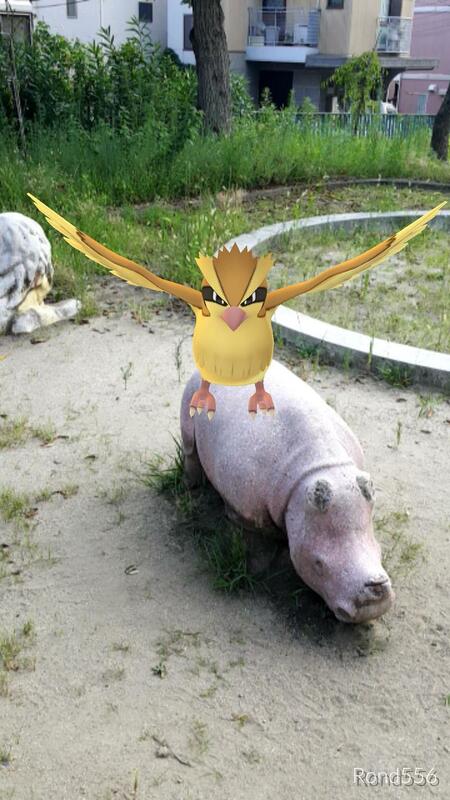 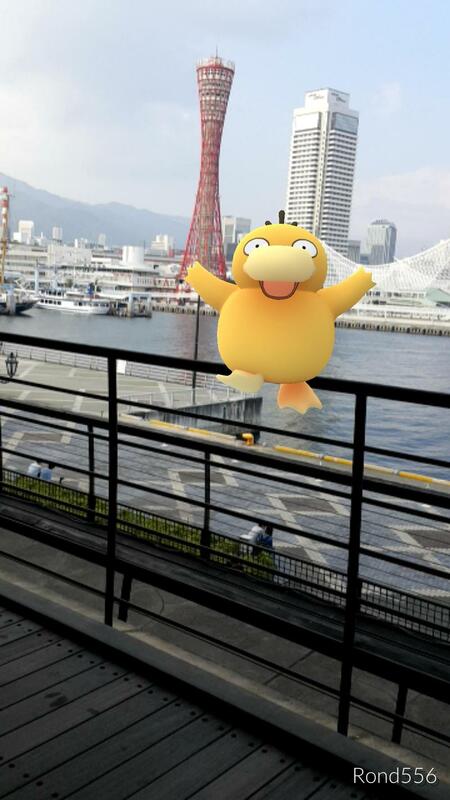 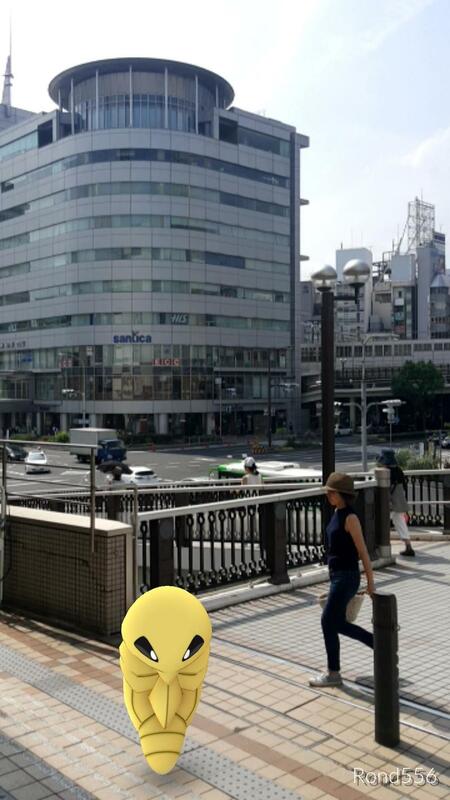 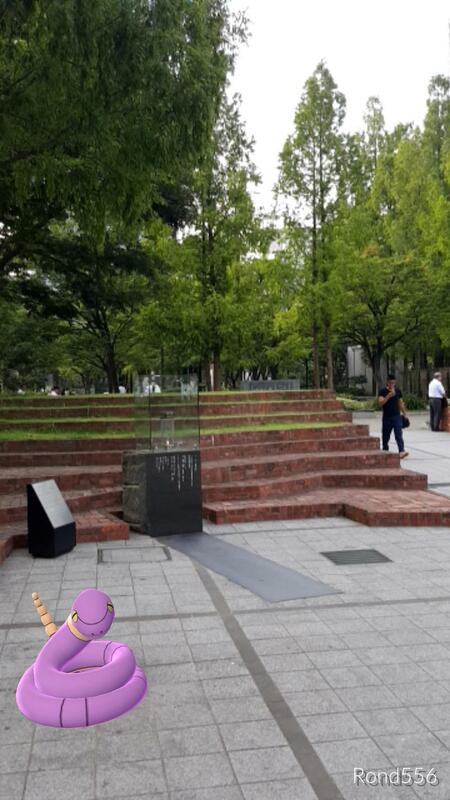 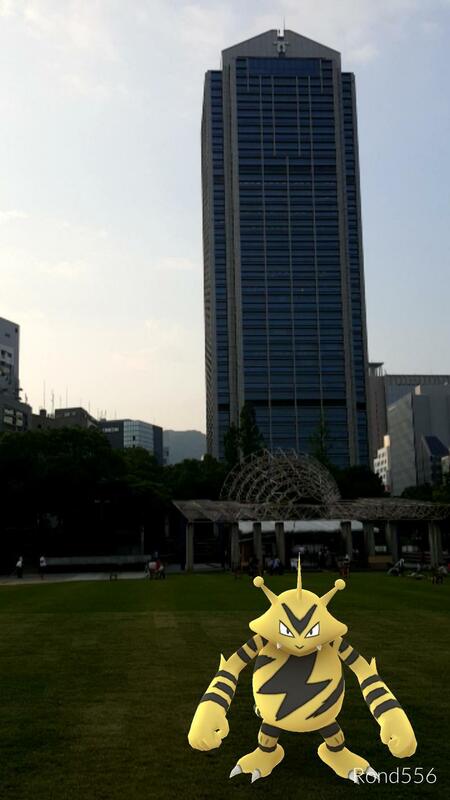 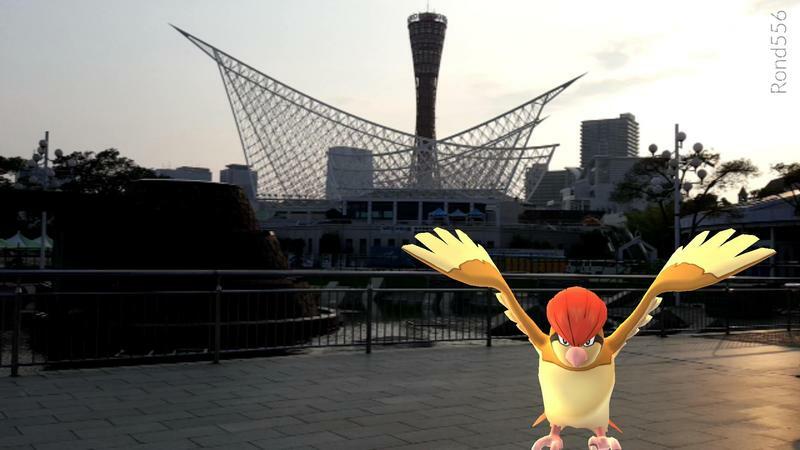 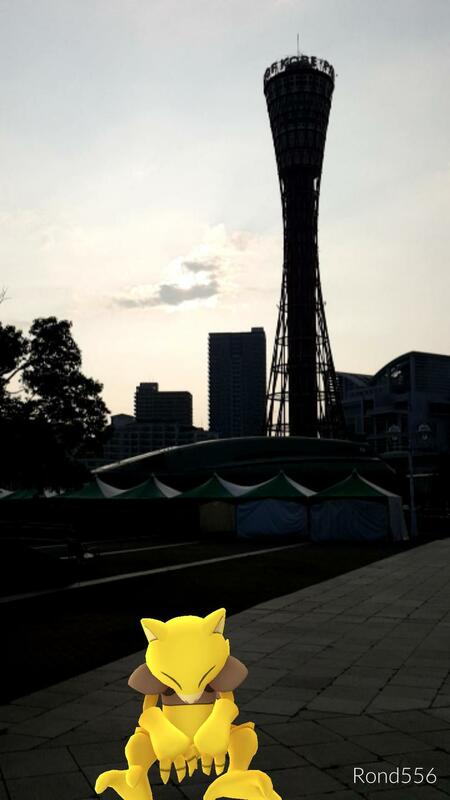 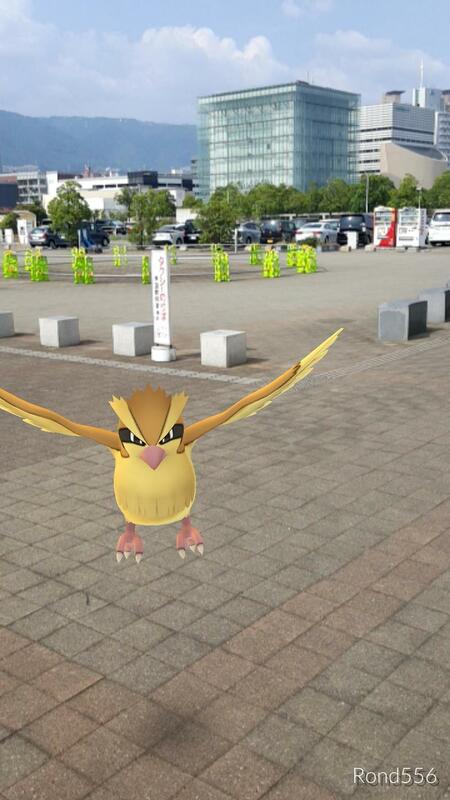 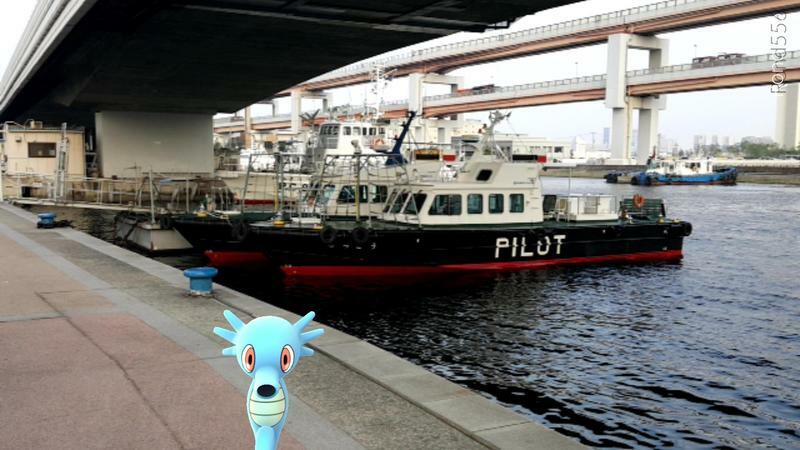 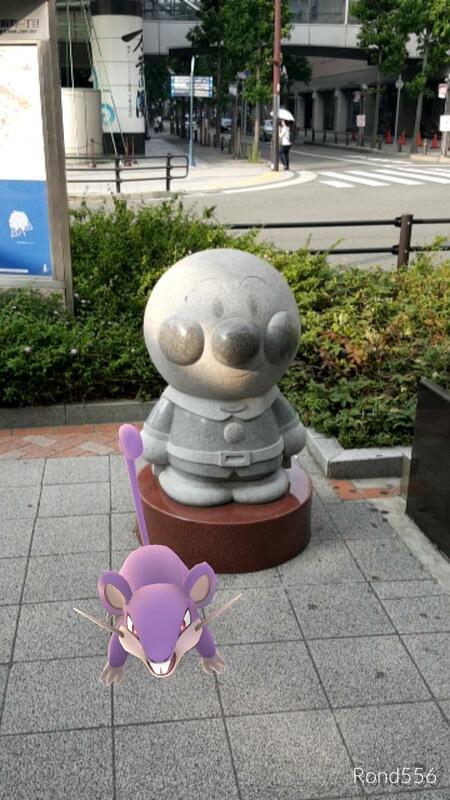 When looking for a photo-op, you can only take a picture of what you’re given, and in Pokémon GO, that naturally means a lot of Pidgeys, Rattatas, Venonats, and Psyducks. 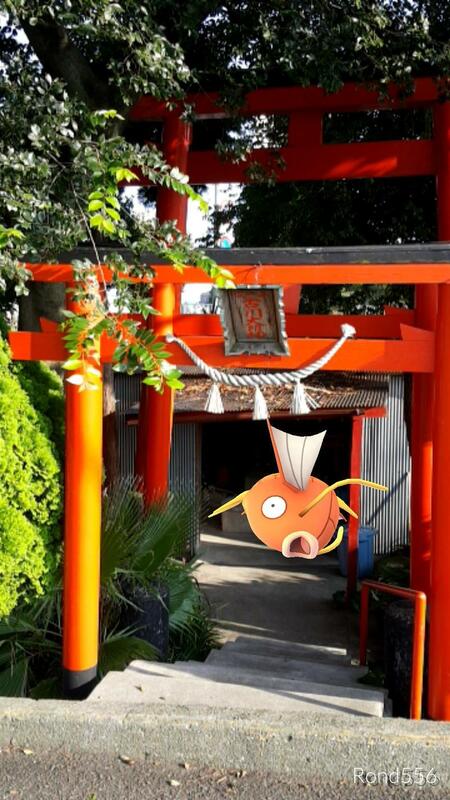 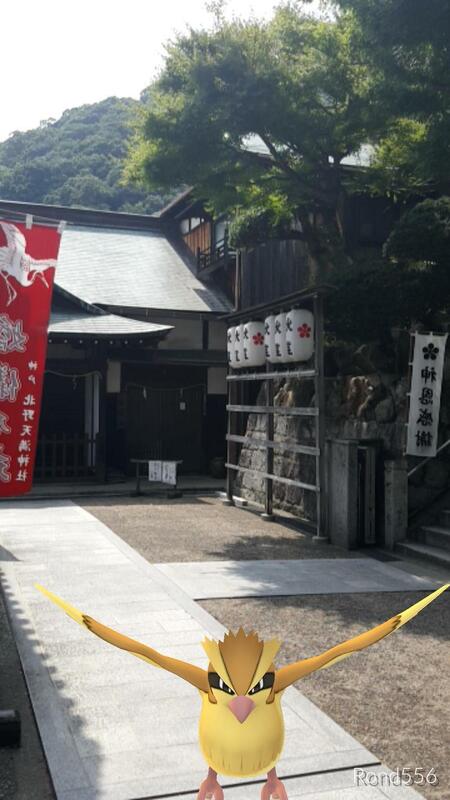 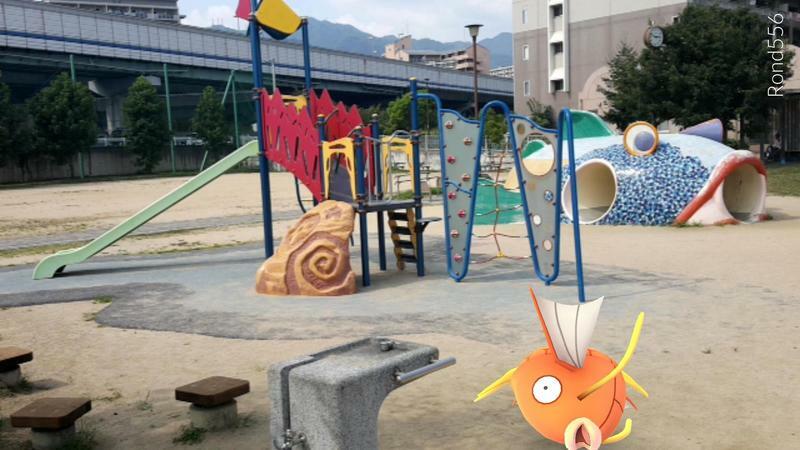 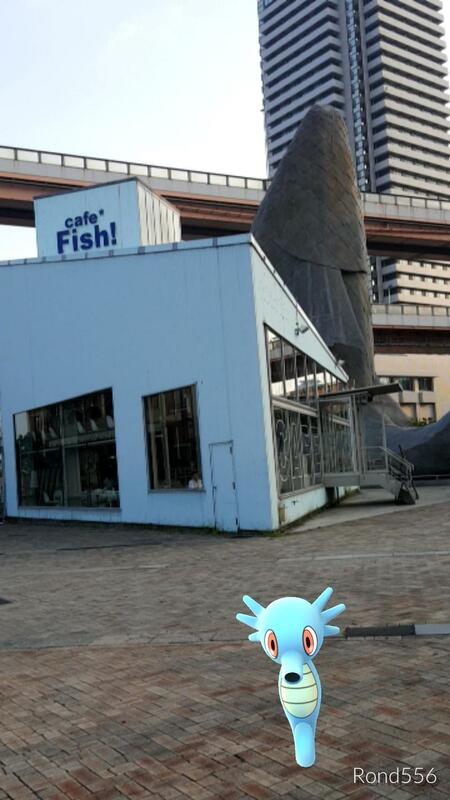 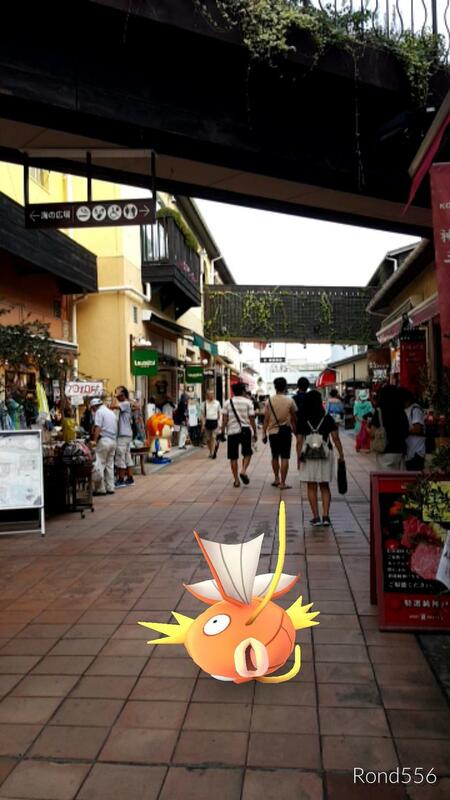 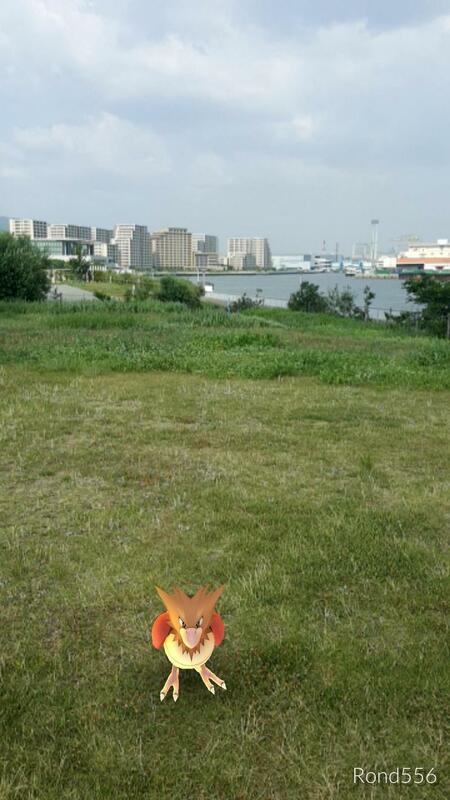 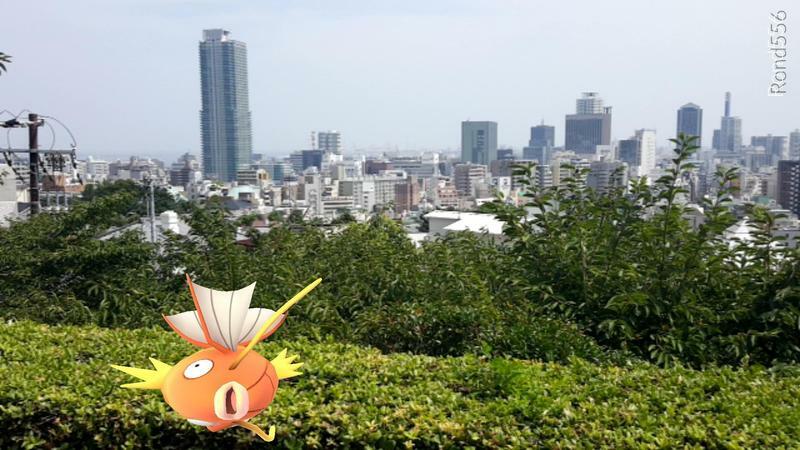 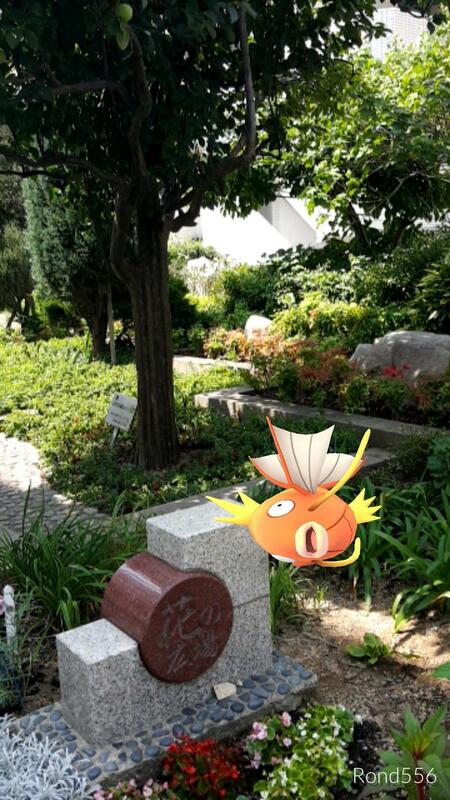 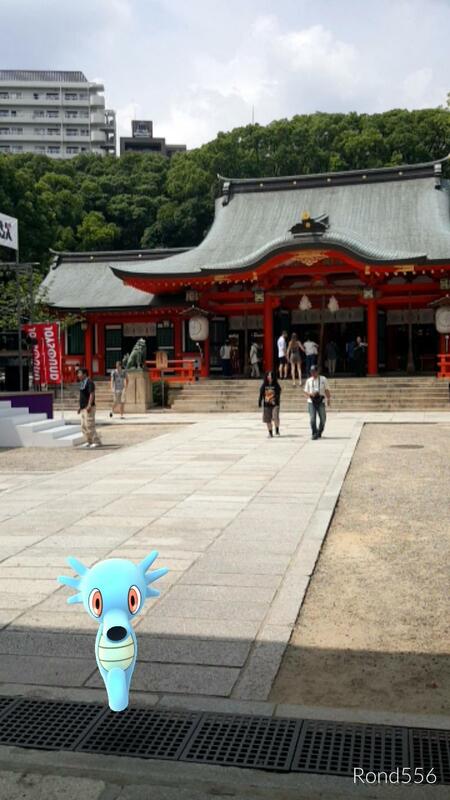 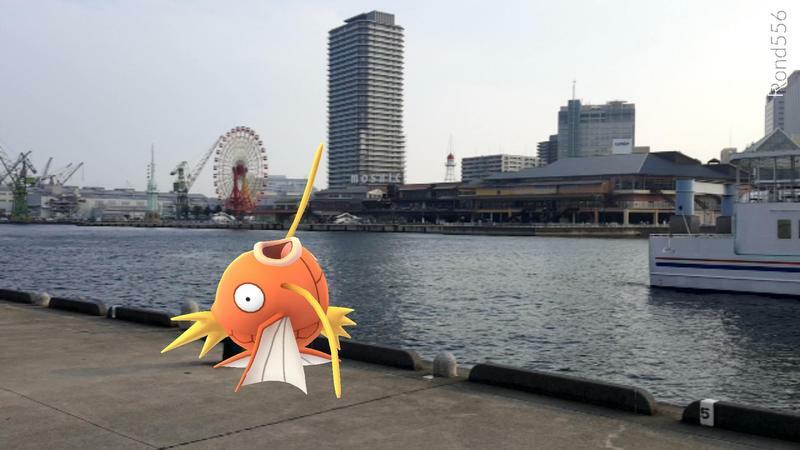 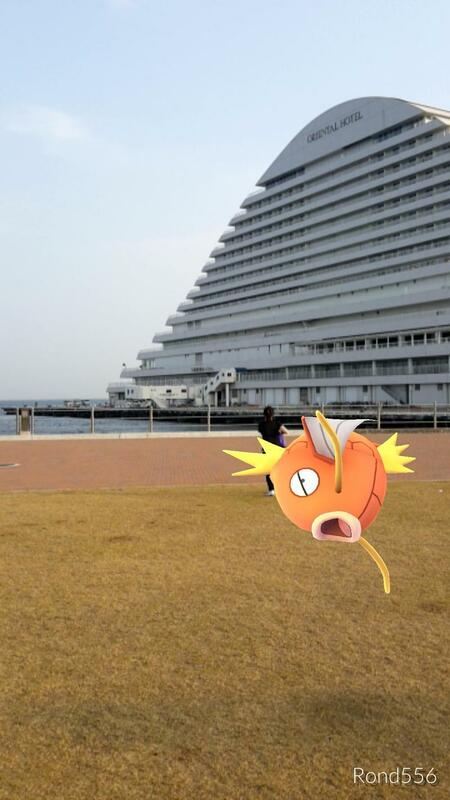 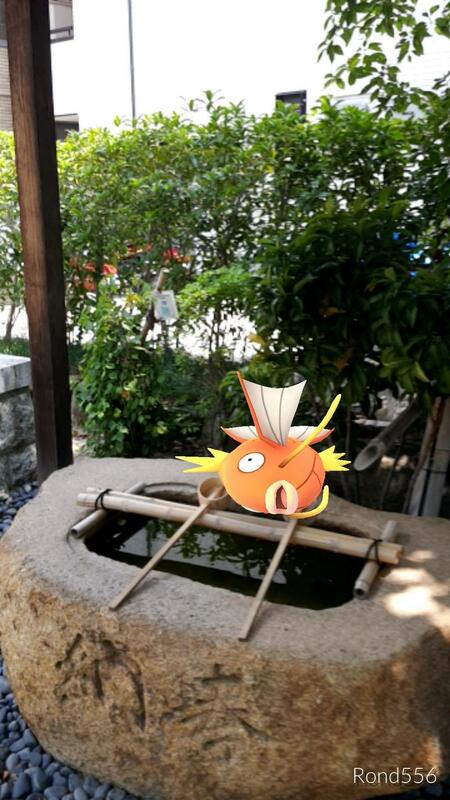 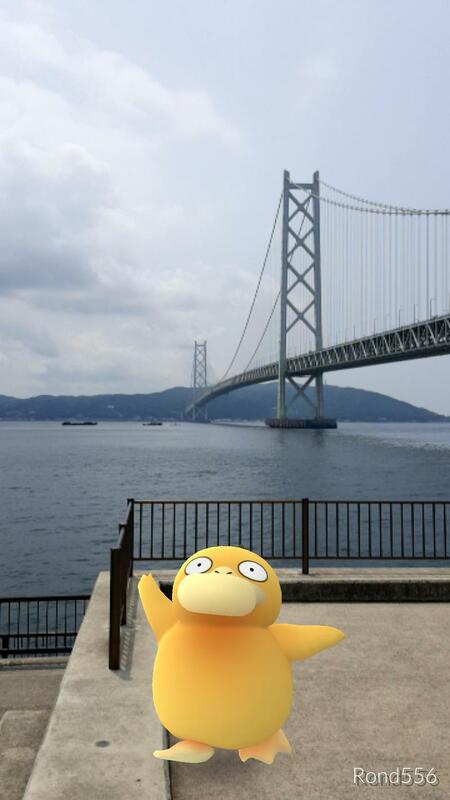 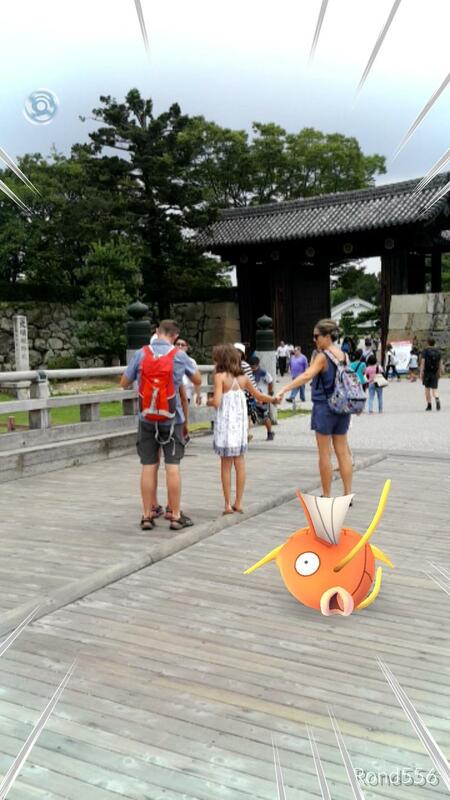 And yes, Kobe, being a coastal city, is overflowing with Magikarps, even high in the mountains! 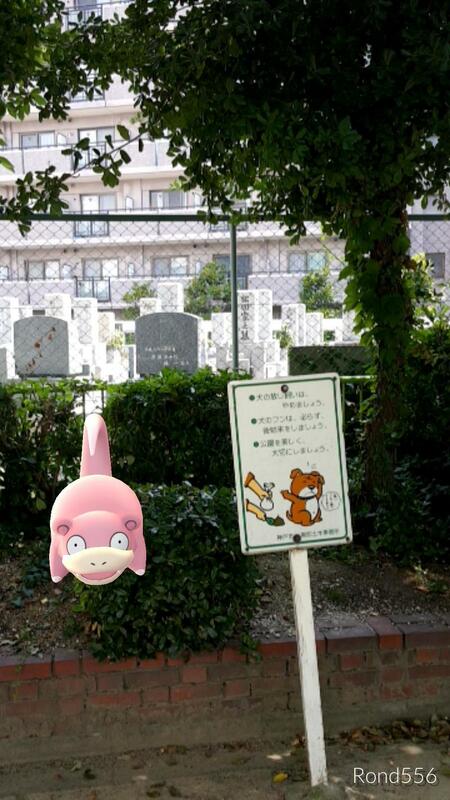 This makes an interesting point, though, because I enjoy taking pictures with Pokémon, but when they are not around, I’m unable to do so. 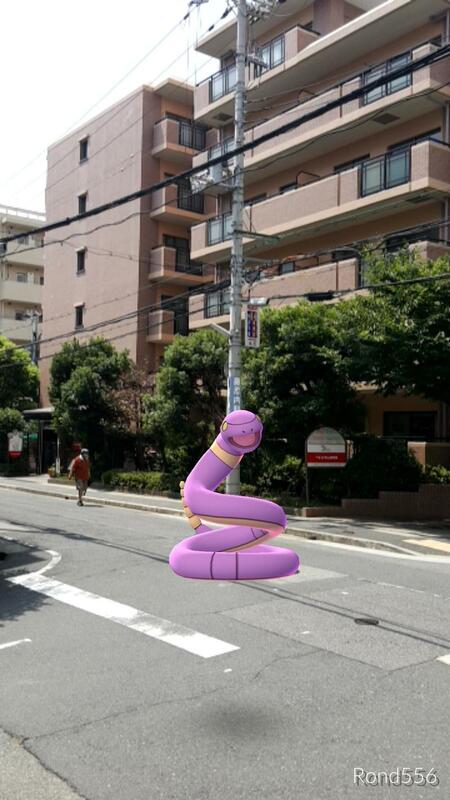 And when they are, it’s typically a boring Pokémon. 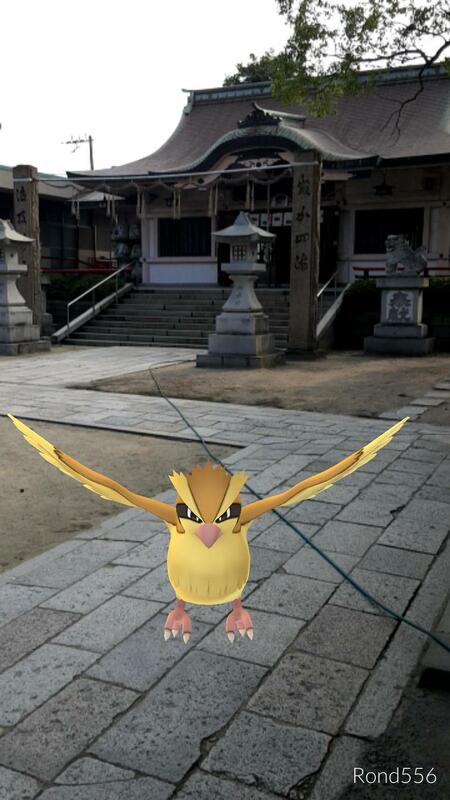 This shouldn’t be a priority based on the many other issues the game is dealing with, but one nice addition would be a photo mode that you can fire up any time using the Pokémon that are currently in your possession. 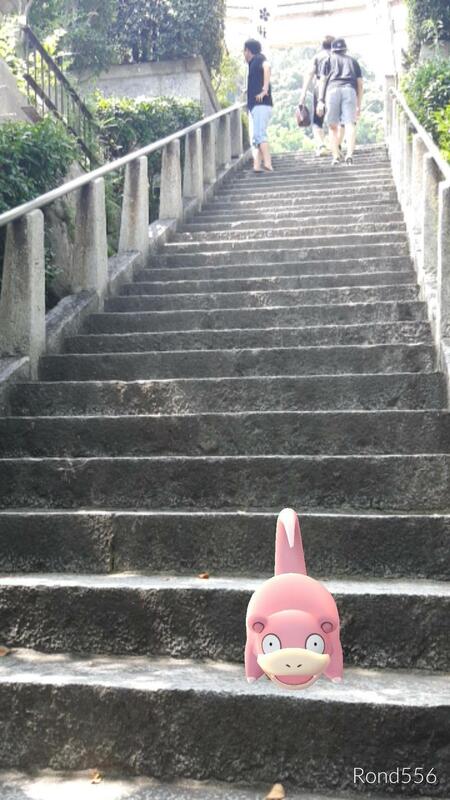 These pictures would be more exciting with a Snorlax and a Vaporeon, wouldn’t you agree?